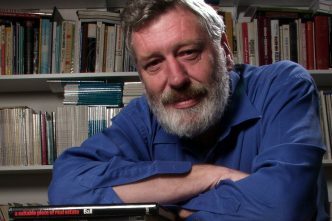 With the death of Des Ball, the global community of security specialists has lost a leading thinker. Des, from his early graduate student days, focused on strategic issues. His initial steps were guided by his doctoral supervisor, Hedley Bull, himself one of the world’s leading thinkers on the control of nuclear weapons. But Hedley could soon see that having guided Des’s feet to the base of the steep ascent of nuclear weapons policy, Des was capable of climbing the path largely by his own efforts. He scaled the slippery slopes of the debate on strategic weapons and produced an outstanding doctoral thesis. This became the basis of his highly acclaimed book, Politics and Force Levels: the Strategic Missile Program of the Kennedy Administration. That book made Des’s name internationally and from then on he was regarded as one of the major contributors to the international debate on nuclear weapons policy. Two other publications of the early 1980s reinforced Des’s reputation: A Suitable Piece of Real Estate (on US facilities in Australia, especially at Pine Gap), and Can Nuclear War Be Controlled?—an Adelphi Paper published by the International Institute for Strategic Studies in 1981. The first of these initiated a furore in Australia, which began in the late 1970s as several people in high places came to learn exactly what Des was working on. I found myself caught between Scylla and Charybdis when Sir Arthur Tange, Secretary of the Department of Defence, bore down on me to divert Des into other channels. Tange’s view of Des was somewhat alarmist, and fortunately I was able to get him to rethink his appraisal of Des beyond that of his ‘hippie’ appearance and active involvement in protesting against the Vietnam War. None the less it all took time and effort. Des’s Adelphi Paper, unsurprisingly, hit the central core of a major international debate of the early 1980s, and his answer to the question posed in his title was clear, unequivocal and convincing: nuclear war was not likely to prove controllable, despite the extent of all the technology in the possession of the United States or the Soviet Union. Des’s argument torpedoed some important hopes in the US and fuelled dissent on nuclear weapons policy within NATO discussion circles. As a member of the IISS Council at the time, it was clear to me that Des had reached a very high level of expertise and influence worldwide in our field. During the 1970s and ‘80s, Des made a great contribution to the success of ANU’s Strategic and Defence Studies Centre through being a first-class team player. The Centre, when I took it over from Tom Millar in 1971, had no money for new appointments and very little for other activities such as conferences, publications and research travel. This was during the Vietnam War, so anything associated with defence and the military was regarded with disfavour by a substantial proportion of the academic world. Fortunately, that group didn’t include Des, who came to the subject of strategic studies with a very open mind. He thought it was very important, and as long as his rights to express his own opinions were respected, he was willing to engage fully and vigorously. In 1973 the incoming Minister for Defence in the Whitlam Government, Lance Barnard, made available funding for two posts in the Centre: a research fellowship and a senior research fellowship. After consulting with Hedley Bull it was obvious that I should try to get Des for one of these posts, but here the ground was tricky. Des was a strong opponent of the Vietnam War and I was a Vietnam veteran. Fortunately, reason and personal warmth found a way for us to co-exist, and to form a strong friendship which continued for the next 42 years. Des was an ideal working partner. 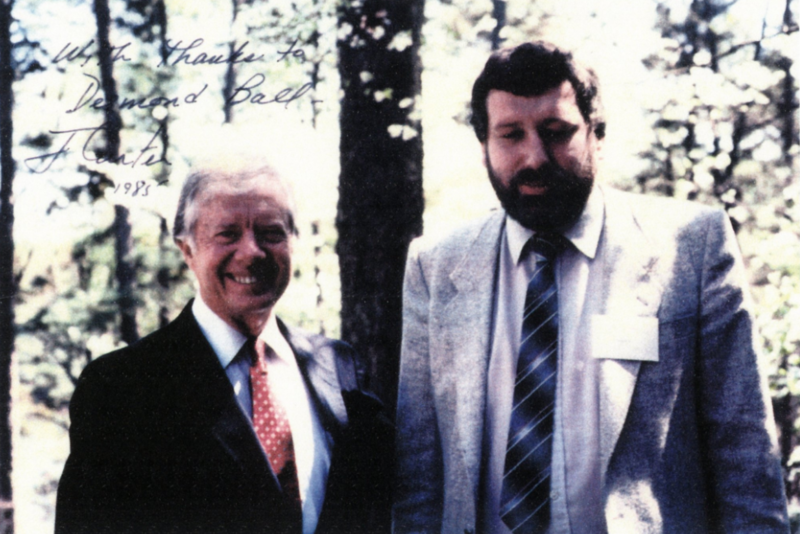 He set high intellectual standards and had a keen eye for influential, policy-related subjects to investigate. While I sought to have the Centre and the quality of its work recognised globally, I also believed that we should engage issues of prime relevance to Australia. And what a good time it was to focus on the basic strategy of how Australia should be defended and kept secure following the end of the Vietnam War and the underlying strategy of ‘forward defence’. In 1974 we were able to appoint Peter Hastings, a senior journalist and expert on Southeast Asia, to the second post that Lance Barnard had agreed to fund. Des, Peter and I began to plan a major project for the Centre on the future defence of Australia. We were soon joined by Ross Babbage, a doctoral student in International Relations, and Colonel Jol Langtry, who was appointed Executive Officer in the Centre in 1976. These appointments gave us a core team of presenters for a major conference which we held in October 1976. It was an ambitious project, and had a significant impact. Des’s important contribution on defence equipment policy was included in the resulting book, The Defence of Australia—Fundamental New Aspects. Des was keen to continue with another conference on the major equipment decision then facing Australia—the choice of a tactical aircraft—which we held in 1977. He edited the resulting book, and by then we were well and truly launched as leaders in the public debate on Australian defence policy. Des’s participation, both as a generator of thoughts and as a major team player, was an essential ingredient in the Centre’s achievements. He was always my right hand man. I moved to the IISS in 1982. He remained a strong pillar of the SDSC and its work for the next thirty-four years. What a great contribution he made! Robert O’Neill is a Professor Emeritus of Strategic and Defence Studies at the ANU, and was previously the head of the Strategic and Defence Studies Centre, director of the International Institute for Strategic Studies (1982–87), and chairman of the IISS (1996–2001). Image courtesy of Twitter user @ANU_SDSC.